Voir le panier «Dog Brush Kit D – longhair» a été ajouté à votre panier. 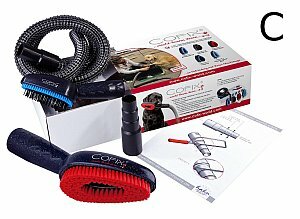 The kit consists of: ✓ brush ✓ Cofix® brush adapter ✓ 1.5m hose extension ✓ universal adapter (Vorwerk and Dyson need a special adapter). Including a free sample of PowAir Gel. 95% of all dogs become accustomed to the Cofix® brush system within 2 weeks. Helping your dog become accustomed to the Cofix® brush system is easy with 6 simple steps (see our step-by-step guide). 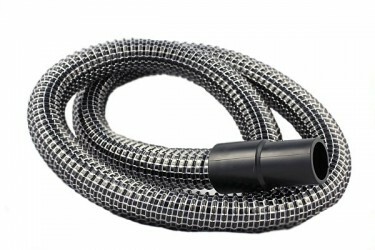 Before you know it, your dog will begin to see your vacuum cleaner as a tool for a soothing massage session instead of just a noisy way of cleaning the floor. 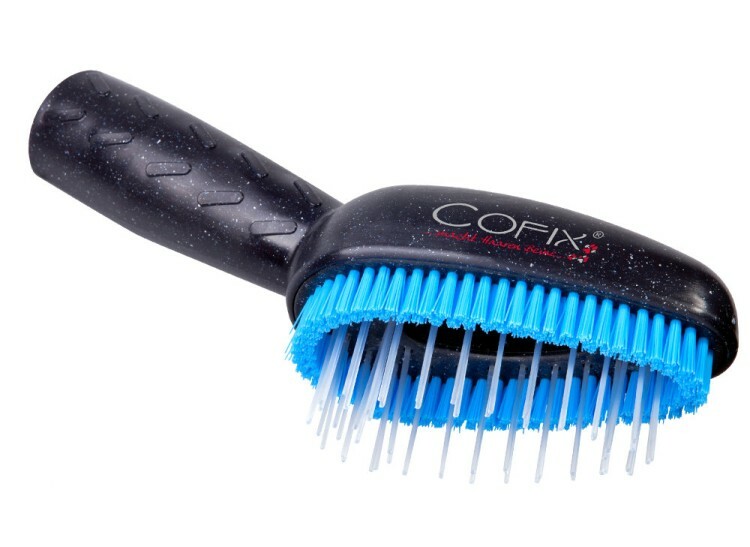 If Cofix® does not work with your dog you can simply return the cleaned brush. With 100%-money-back-guarantee. All suitable dog breeds can be found under « Additional Information« . 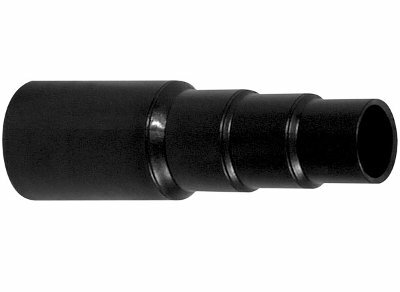 Our long-hair special brush removes loose dog hair, dog fleas, dirt and even odors from the dense fur of your dog. The fur will be lifted up and the skin of your long-haired dog pleasantly massaged. This prevents many skin diseases and your dog will like it more and more with every treatment. Discover the revolution of Cofix and take care of your favorite faster and better!